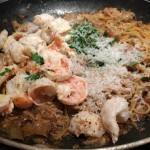 I often get inspiring ideas from watching the Food Network, which provides me with some variety in our dinner options. One of my very favorite chefs is Geoffrey Zakarian; who is an Armenian-American Iron Chef, restaurateur, television personality and author. He is the executive chef of several restaurants in New York City, Atlantic City and Miami and although I think he looks a bit like he could be a very handsome accountant, he’s an amazing chef! 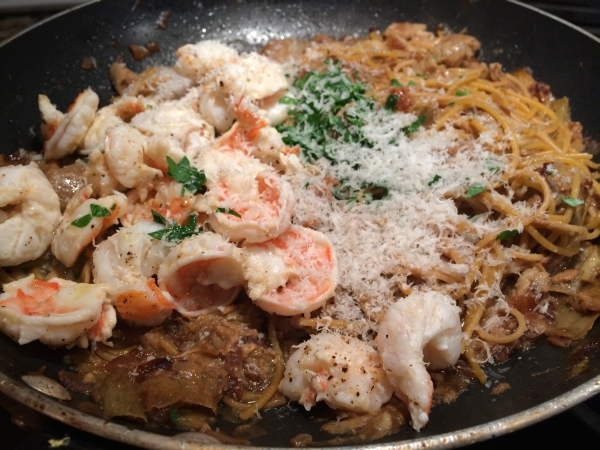 Not too long ago, I was watching “The Kitchen” and he made a “Shrimp and Artichoke Tagliatelle with Black Pepper and Pecorino” dish that looked to delicious and it really didn’t look too difficult. This dish was based from his recipe that I changed up a bit based on ingredients that I had on hand, so the credit really goes to him. 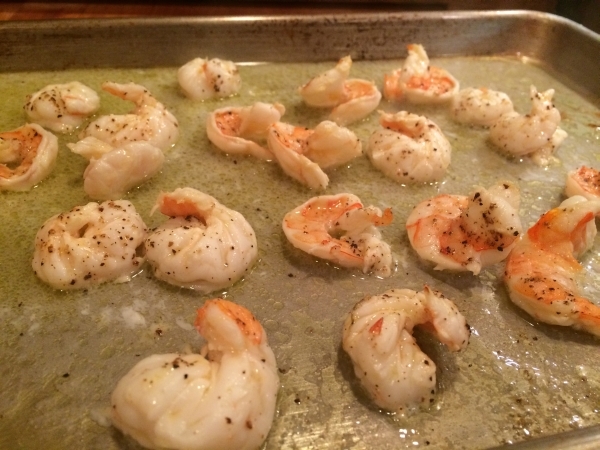 For the shrimp: Preheat the oven to 450 degrees. 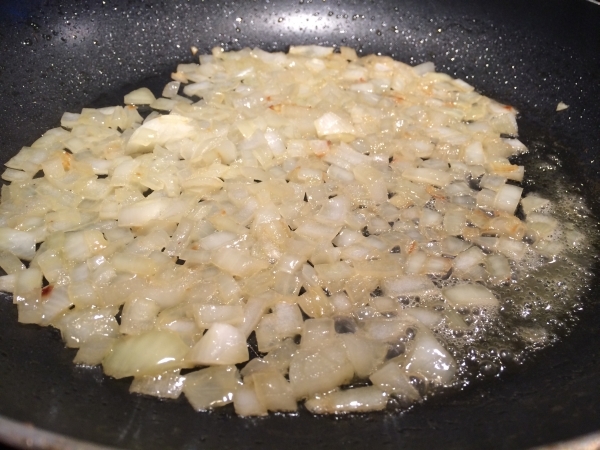 In a medium saucepan, cook the onions over medium heat until they begin to turn brown. 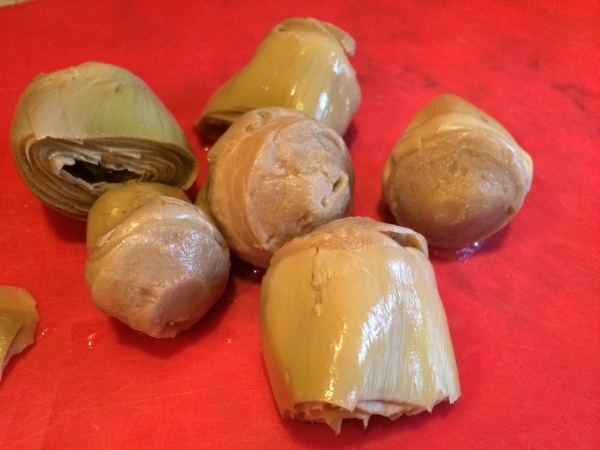 You could use fresh artichokes, but it is a lot of work and they are not that readily available here in the Midwest. 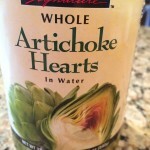 I love these whole artichoke hearts that I pick up at Costco. I wouldn’t use the marinaded ones that come packed in oil for this dish, but I do have a great list of ideas of what to do with them below that bon appetit provided. 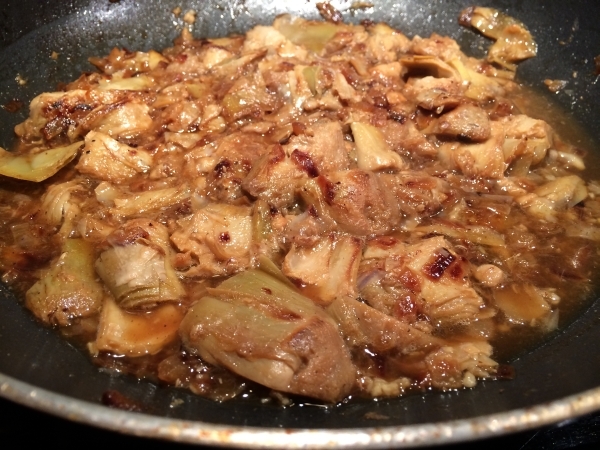 Once the onions have begun to brown, add the artichokes and cook until seared and just browned, about two minutes. 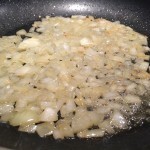 Add the garlic and cook until aromatic, about a minute or two. 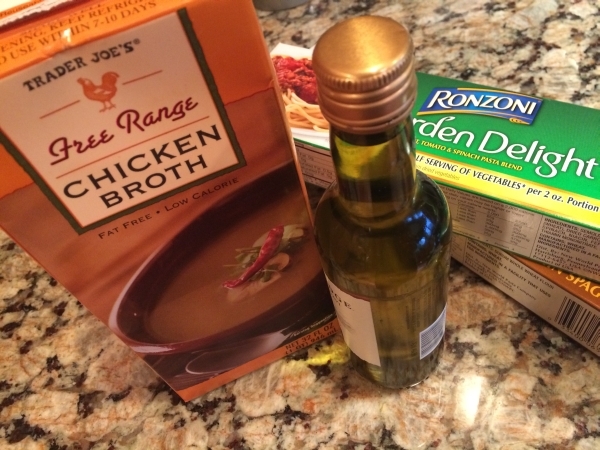 I usually prefer using homemade chicken stock, but I do buy the boxed variety so that I can have it on hand if I just need a bit here and there rather than thawing out a quart sized bag from my freezer. I also keep this little bottle of wine that I refill so that I don’t have to open an entire bottle just for cooking. 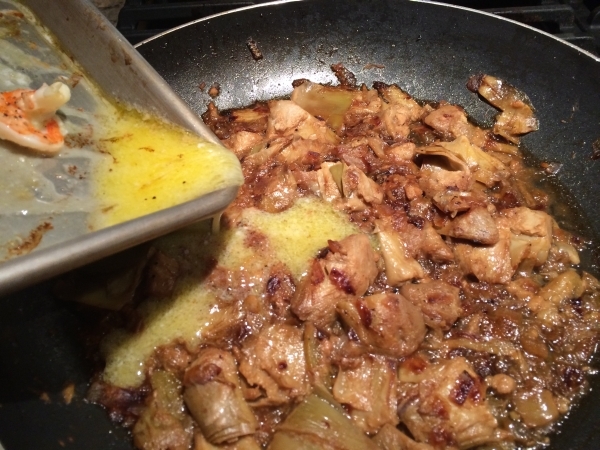 Add the wine and cook until reduced slightly, about a minute. 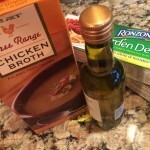 Add the chicken stock and bring to a slow simmer. 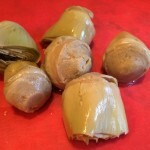 Cook until the artichokes are tender if using fresh ones; and the liquid is reduced by half. Season the mixture with salt and pepper. Meanwhile, bring a medium stockpot of salted water to a rolling boil. 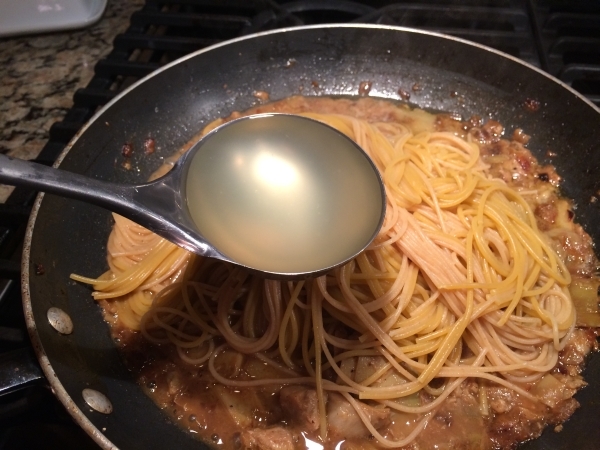 Boil the pasta until cooked, according to package instructions. 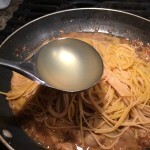 Remove the pasta from the water (do not rinse!) 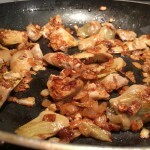 and toss directly into the artichoke pan along with 1/2 cup of the pasta cooking water. 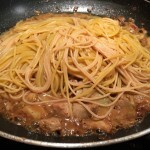 Cook and reduce the liquid, tossing the pasta, until the pasta is coated with the sauce. 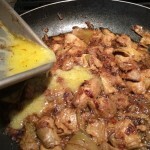 Remove from the heat and add the cheese and black pepper. 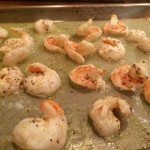 Add the roasted shrimp and its juices, lemon zest, butter, lemon juice, parsley and salt to taste. 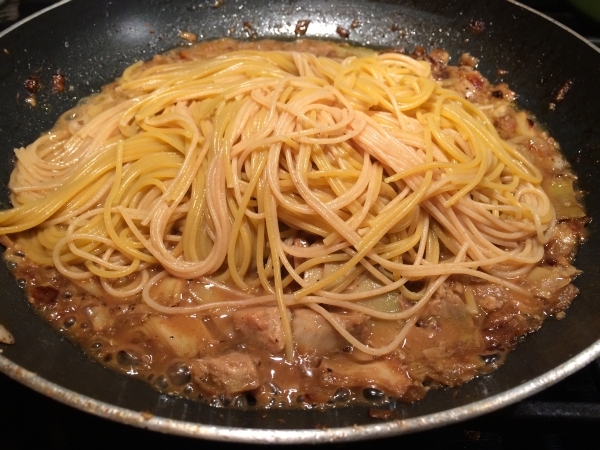 Toss the pasta until the butter has emulsified. Plate and serve topped with a bit more grated cheese. Bill treated us to this amazing 2010 Jarvis Chardonnay Reserve! 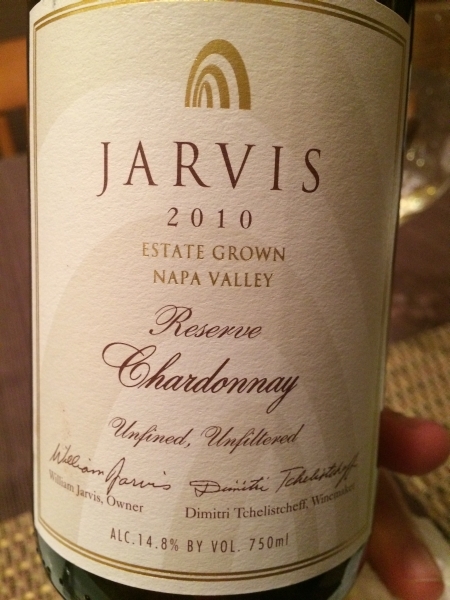 One of my favorite whites ever! 1. Use them as a pizza topping. 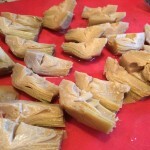 Pat the artichokes dry and sprinkle them onto the pizza after the cheese, then bake the pie as you normally would. 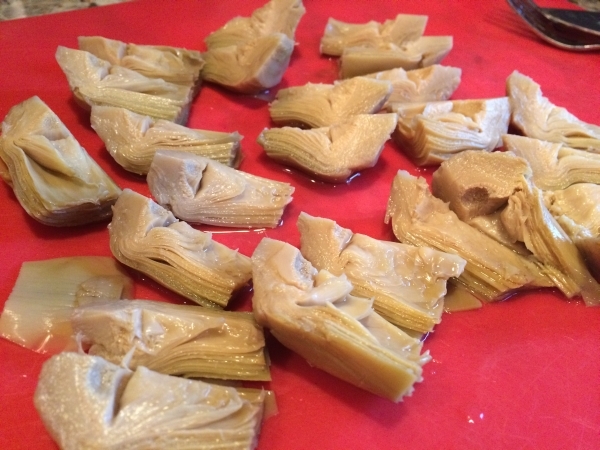 The artichoke’s flavor plays well with mozzarella, thinly sliced red onion, and fresh rosemary. 2. Make a creamy spinach-artichoke dip. Defrost frozen spinach and wring it out to remove excess moisture. Combine spinach with artichokes, enough mayonnaise to moisten generously, grated Parmesan cheese, and lots of black pepper. Put the mixture into a ramekin, top with more grated Parmesan, and bake at 375 degrees until golden brown, about 15–20 minutes. Serve with pita chips, crusty bread, or the chip of your choice. 3. Make crostini: toast bread, spread ricotta, top with artichokes, season with lemon zest and flaky salt. 4. 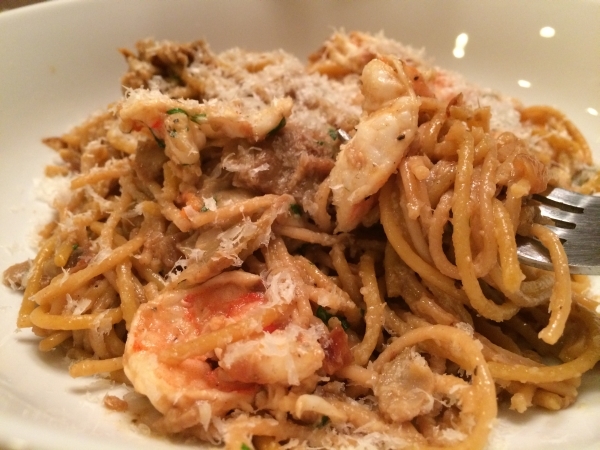 Sauté in brown butter with capers and pour the mixture over pan-seared or baked fish. 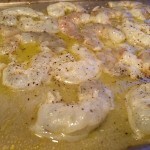 Since the sauce’s flavors are pretty strong, go with a mild, flaky white fish. 5. Roast alongside large-diced potatoes. 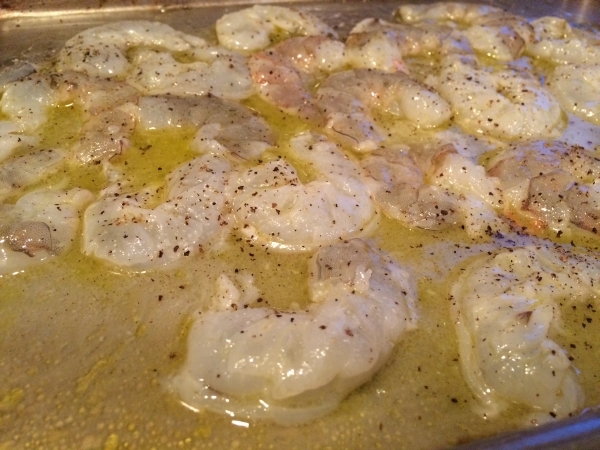 Basically just toss them both with olive oil and roast for 30–35 minutes at 425 degrees. 6. 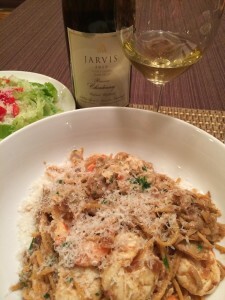 Toss into risotto. 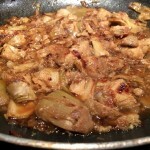 When the rice is done cooking, stir them in thoroughly, let warm, and eat. 7. 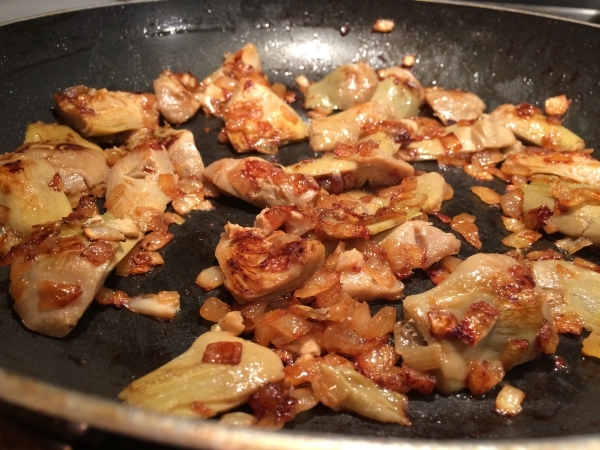 Make a warm vinaigrette: sauté chopped artichokes and shallots in olive oil, finish with lemon juice. Toss, still warm, with a sturdy green like kale or mustard greens, and serve immediately. 8. Fold into an omelet with some feta cheese. 9. Make a quick gratin by putting them into a baking dish, sprinkling with Gruyère and breadcrumbs, and baking at 400 until the cheese is melted and the artichokes are warmed through. 10. Make an antipasto platter for dinner party guests: artichokes, salumi, cheese, olives. 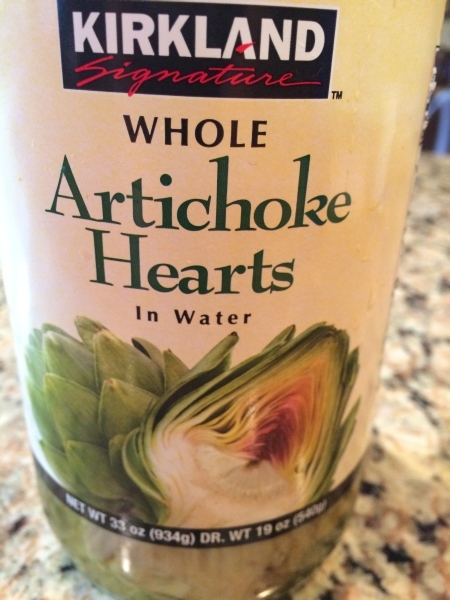 In other words, take the artichokes out of the jar and put them on a plate with all of that other stuff. 11. Scratch that: just eat them straight out of the jar.